Tasty Pork Ragu is cooked quickly in a pressure cooker or all day in the slow cooker and served over your choice of pasta or zucchini noodles. Don’t you think this looks like a tasty dinner idea! Click here to PIN Three Tasty Recipes for Pork Ragu! 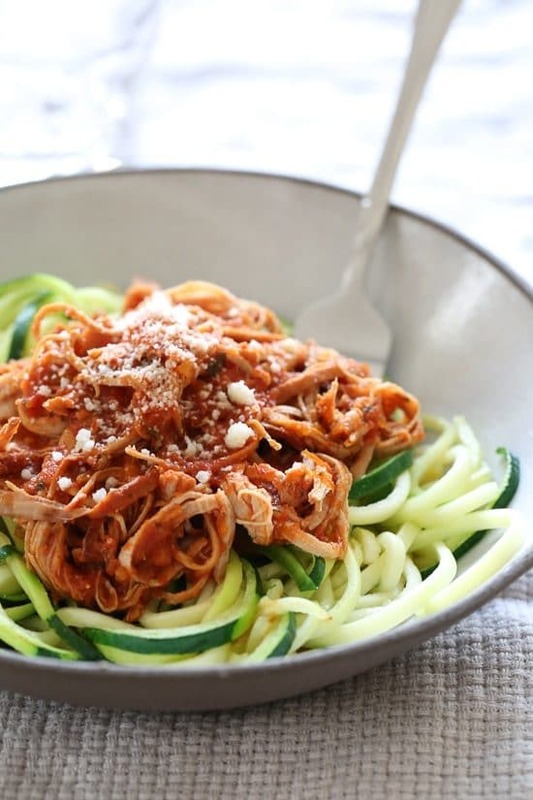 Pork Ragu is a great dish to serve a hungry family, whether you serve it over pasta or opt for zucchini noodles for a lower-carb option, and we’ve updated this post to give you more tasty Recipes for Pork Ragu to choose from. Each recipe starts with a nice pork loin or pork ribs, and includes tomatoes, herbs, and of course, garlic. Each of the Three Recipes for Pork Ragu will give you perfectly tender pork in a rich and hearty sauce. Whether using a pressure cooker or a slow cooker, each of these would be a tasty meal for any day of the week. 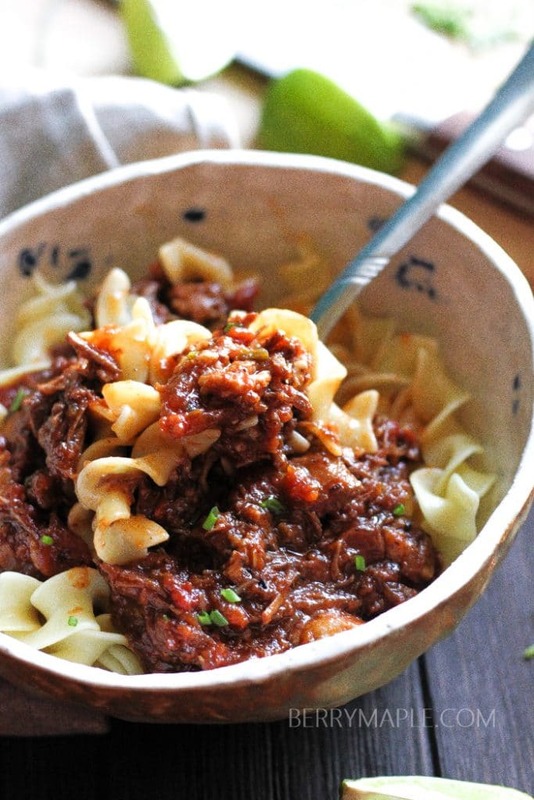 We’re spotlighting these Recipe for Pork Ragu for our Friday Favorites post this week! And no doubt about it, a delicious plate of meaty sauce with noodles or zucchini noodles will make a tasty dinner idea that might become a favorite in your family too. Italian Pulled Pork Ragu (Instant Pot or Slow Cooker, Stove) from Skinnytaste uses pork tenderloin and Gina adds fresh herbs in her sauce. Serve over Zucchini Noodles if you’d like a low-carb meal. Instant Pot Pork Ragu from Berry & Maple looks like a tender and flavorful version of Pork Ragu that’s made in the Instant Pot. Slow Cooker Pork Ragu from Mother Thyme starts by browning the pork loin and finishing it in the slow cooker. Jennifer, my pleasure! I think it looks delish! Would this be Phase 2 or 3 SB friendly with whole wheat noodles?